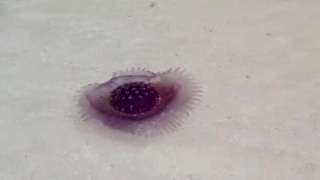 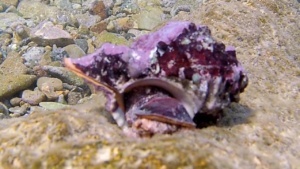 Hexaplex trunculus (also known as Murex trunculus, Phyllonotus trunculus,) is a medium-sized sea snail, a marine gastropod mollusk in the family Muricidae, the murex shells or rock snails. 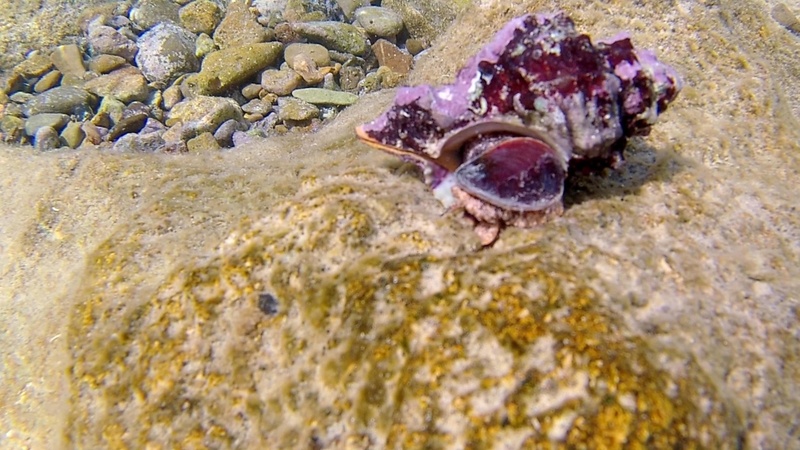 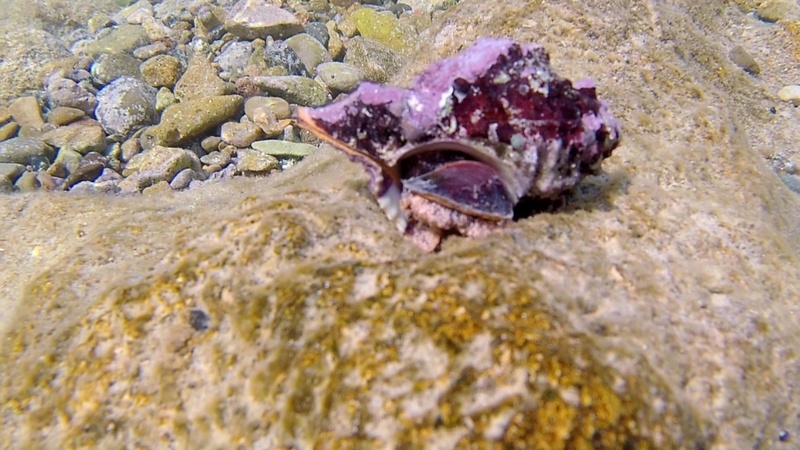 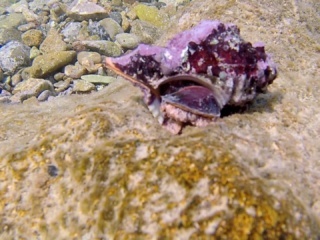 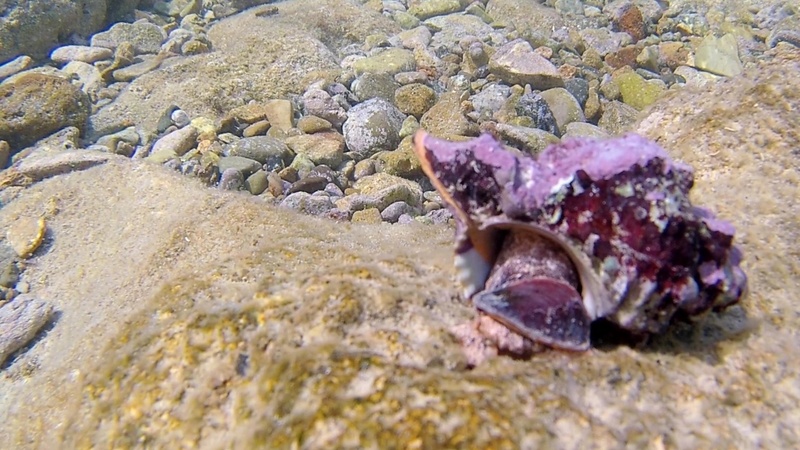 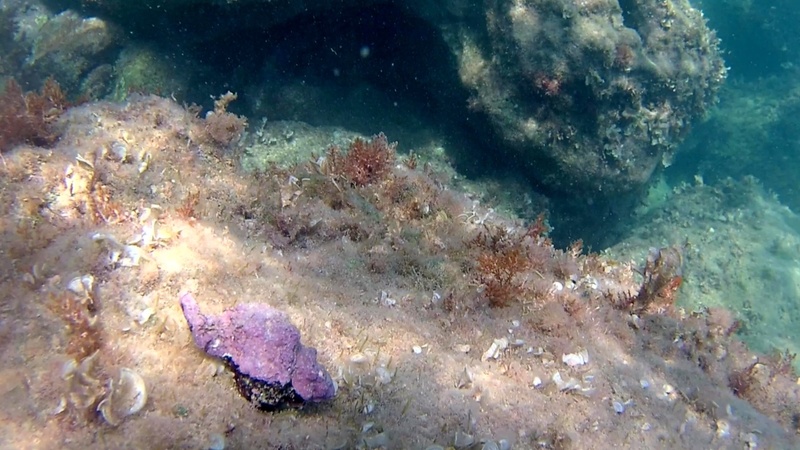 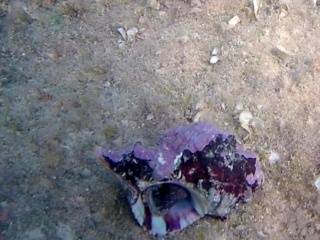 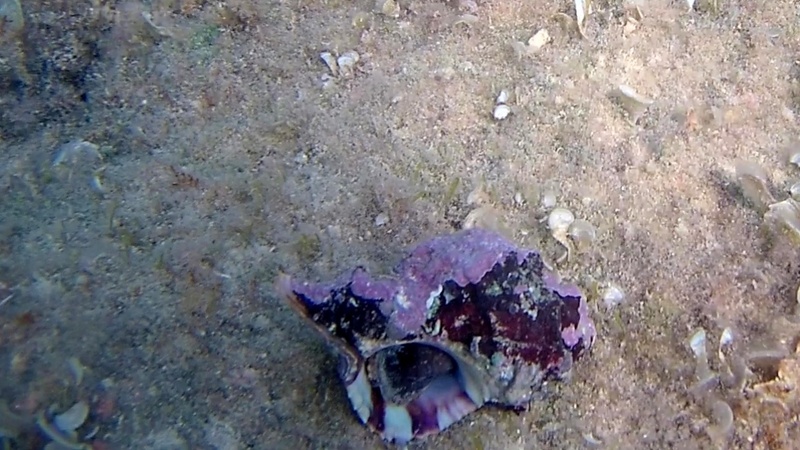 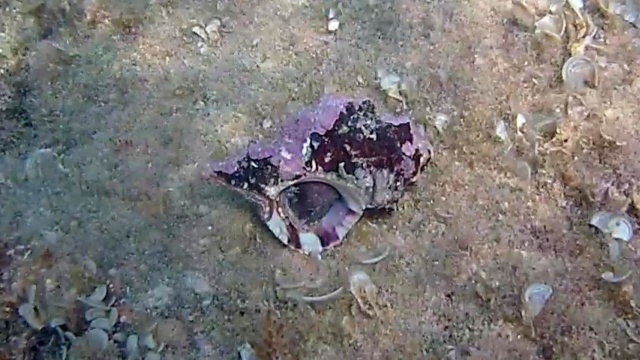 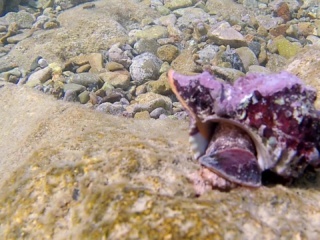 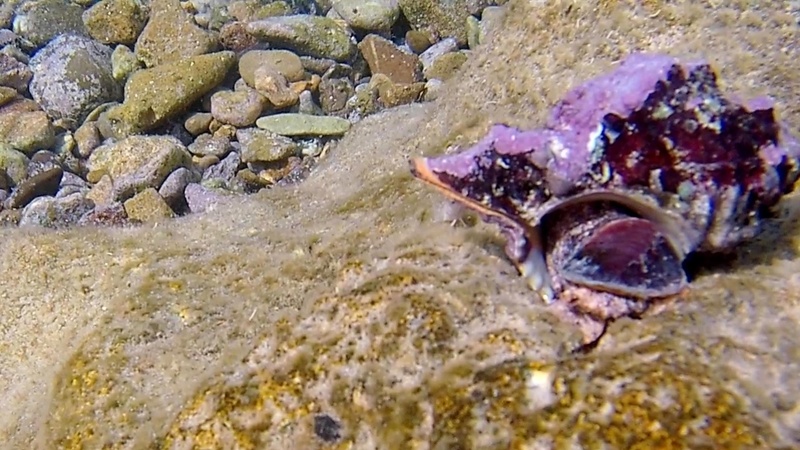 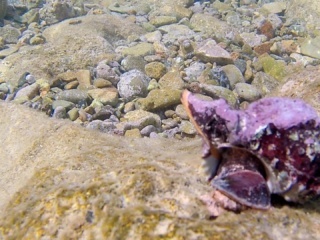 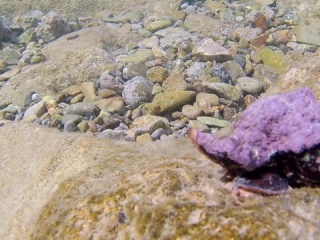 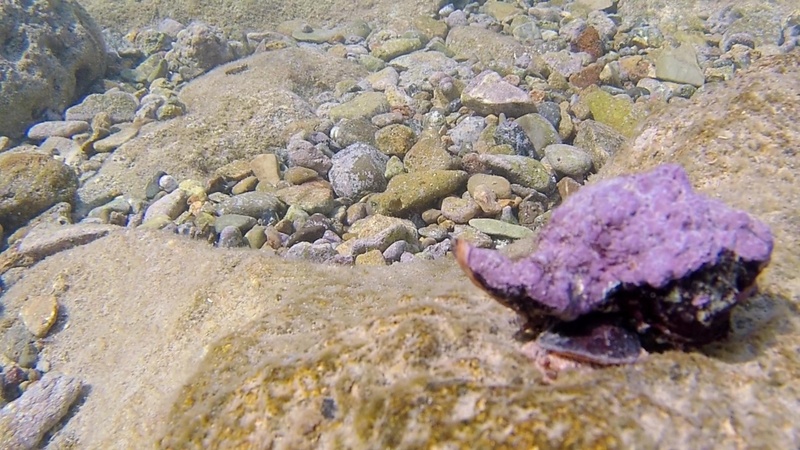 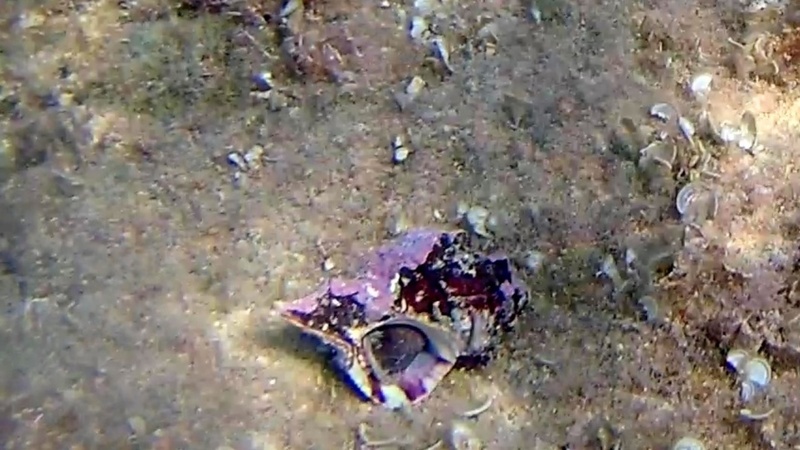 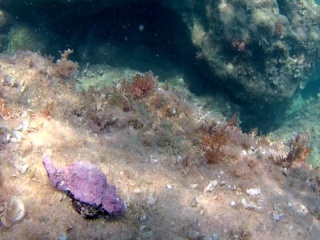 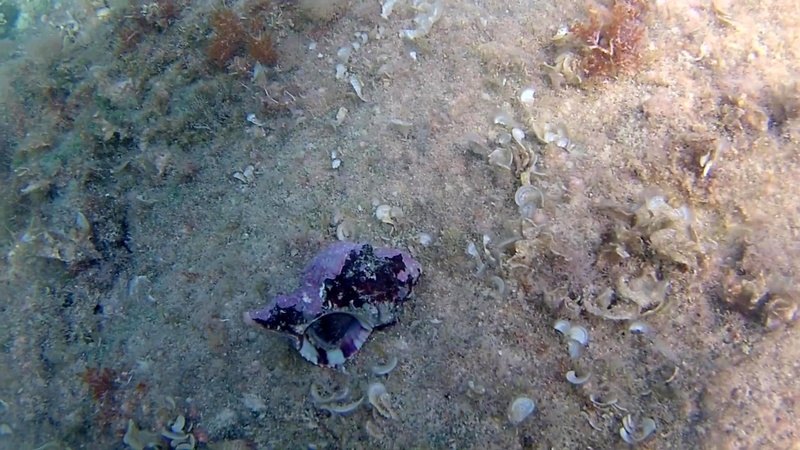 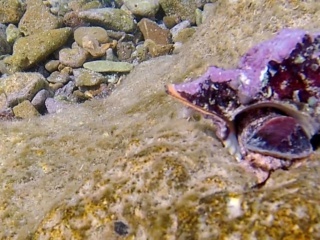 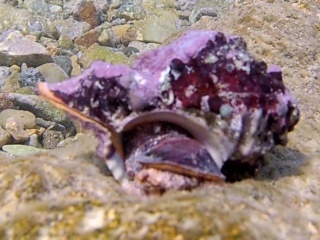 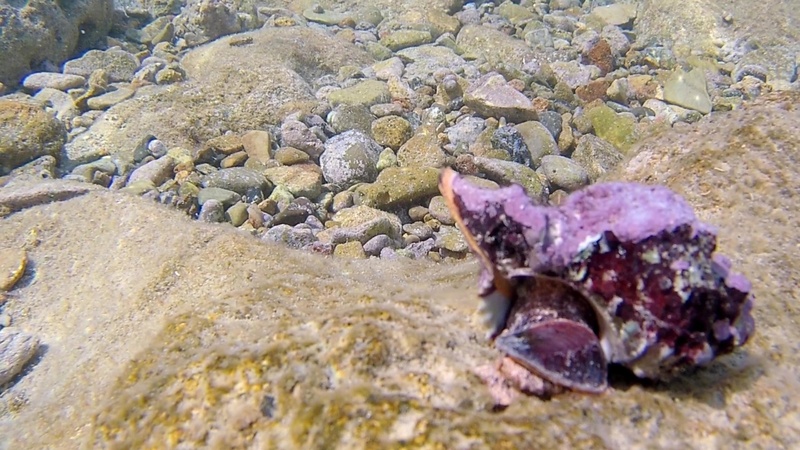 This sea snail is historically important because its hypobranchial gland secretes a mucus used to create a distinctive purple-blue. 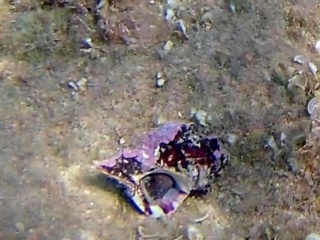 Hexaplex trunculus has a broadly conical shell about 4 to 10 cm long. 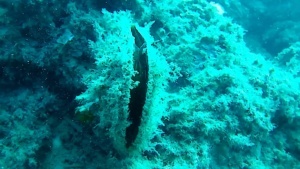 It has a rather high spire with seven angolate whorls. 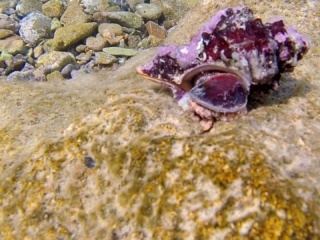 Hexaplex trunculus is a very common mollusk throughout the Mediterranean sea and can be easily found. 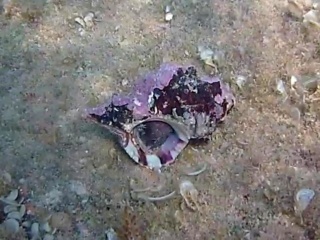 The shell is variable in sculpture and coloring with dark banding, in four varieties. 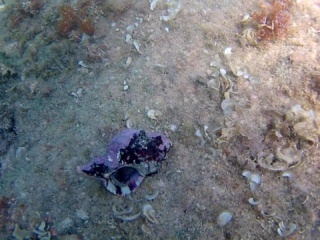 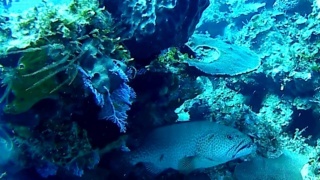 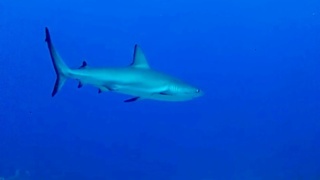 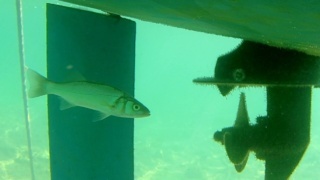 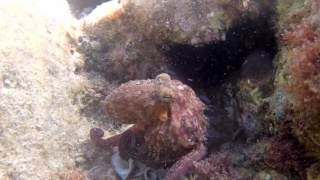 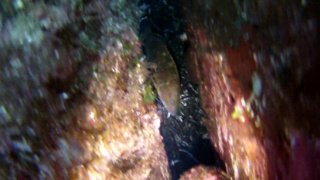 The ribs sometimes develop thickenings or spines and give the shell a rough appearance.